I've been using my Epsilon D7, and it turned out so well that I decided to have my other Epsilon upgraded to a custom handle from Doug. 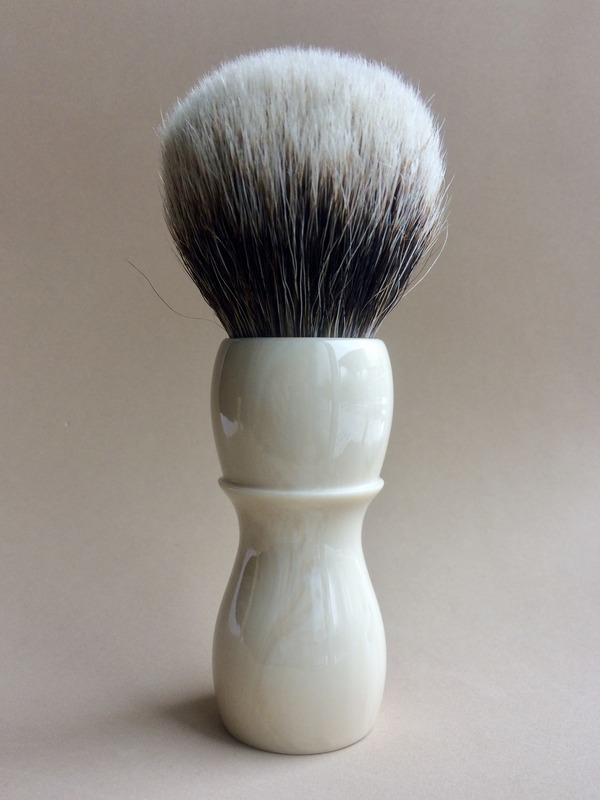 This time I asked for a tall, slender, barbershop style handle in Doug's grain ivory. I asked Doug to set the loft at 50-52mm, and it came in at 51mm. As expected, Doug delivered a beauty. The first two pictures are from Doug, because they show the grain ivory well. This handle is 75mm tall, making it my tallest handle. 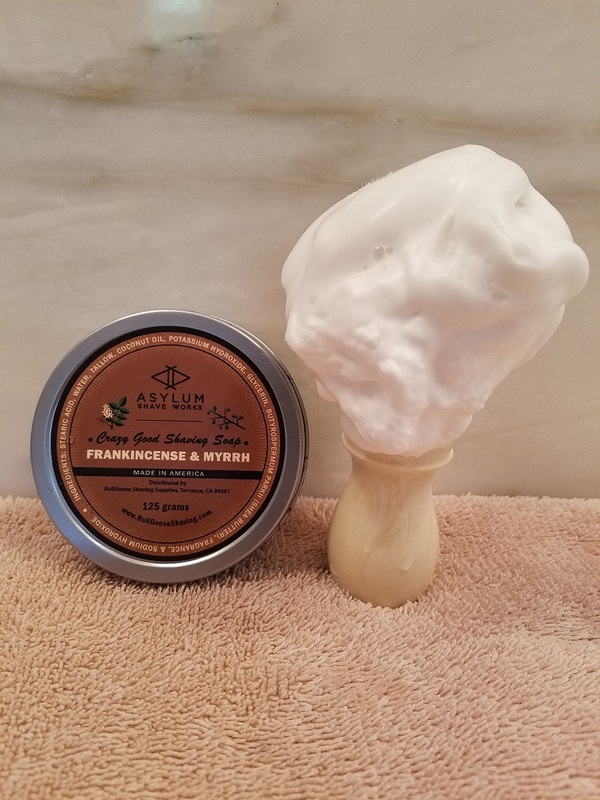 I face lather exclusively. Despite the length of this handle, it fits nicely in the hand with a high grip and works quite well for face lathering. 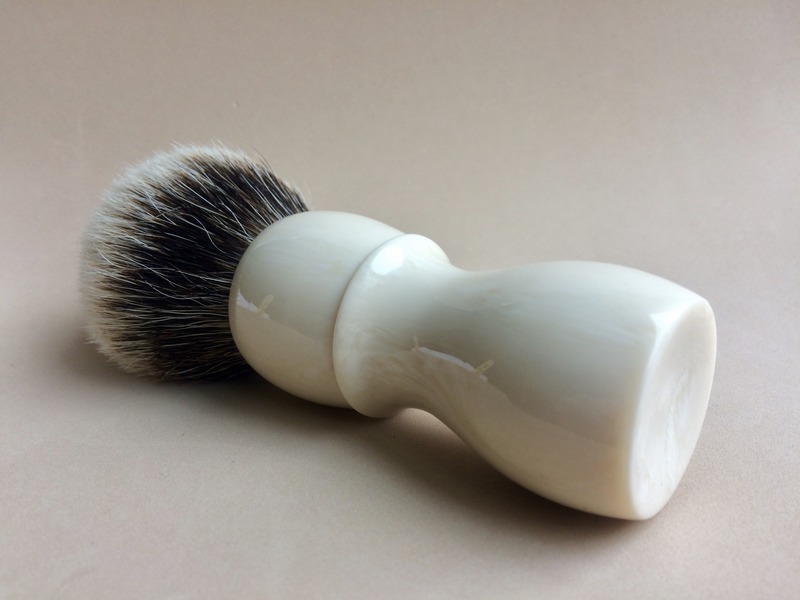 I've always felt that while a stubby handle is not ideal for bowl lathering, a tall handle can be used for both bowl and face lathering by changing the grip. 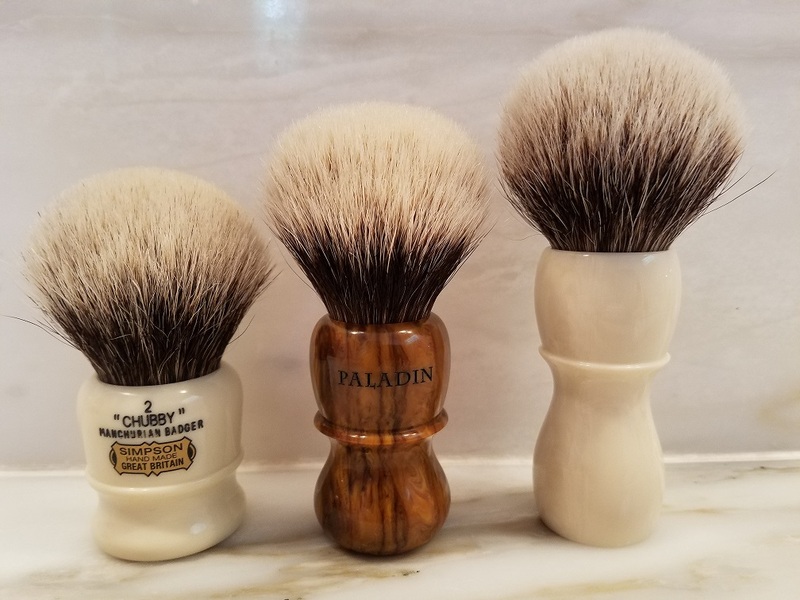 In order to give you a perspective on the height of the brush, here it is next to a Chubby 2 and a Paladin Chief. I've used both of my Epsilon transplanted knots on numerous occasions, and neither has shed a single hair. Any concerns I had about the integrity of the knot being damaged in the transplant process have been satisfied. My two Epsilon knots now have the quality handle they deserve thanks to Doug. I love the way he dished out the bottom of the handle. Nice detail. The ivory grain looks fantastic too! Congratulations on the new beautiful handle, Ricardo! It looks spectacular! Thank you for your very kind words Ricardo.... Enjoy all your shaves.